Britain’s outdoor industry will showcase its new products at a single trade event in 2019, organisers have announced. A separate show held in Kendal will merge with the Outdoor Trade Show in Manchester. The move by Kendal Outdoor Retail Show follows a similar decision by another Kendal event, ROKS, to join the Manchester event earlier this year. The combined trade show will run at Event City in Manchester from 9-11 July. A spokesperson for the organisers said: “This year’s KORS show attracted its usual healthy visitor numbers, but feedback from the majority of KORS exhibitors indicates that with the new OTS show location and timings, new choices needed to be made for the benefit of exhibitors and visitors alike. 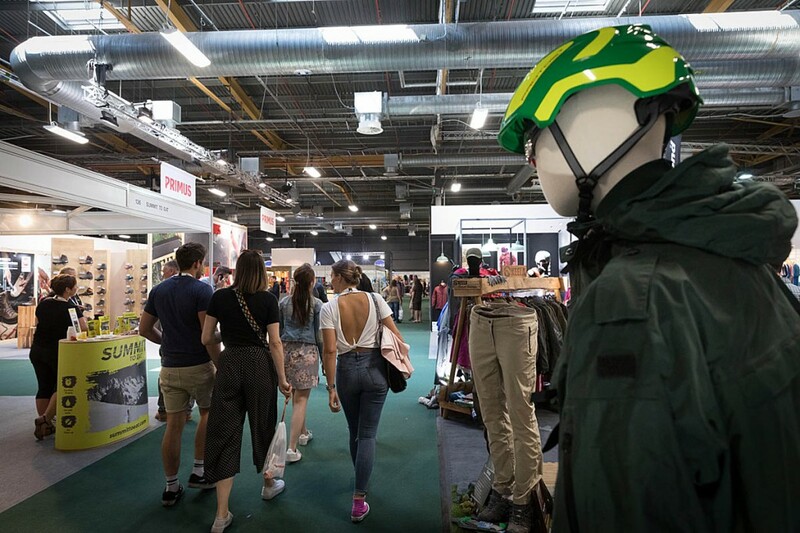 The show, which is not open to the general public, gives brands, companies and organisations in the outdoors sector the chance to exhibit new products to retailers and the press before they hit the shops. ROKS and KORS were held at two different sites in Kendal. In later years a shuttle bus was provided to transport visitors between the two events. Andrew Denton, chief executive of the Outdoor Industries Association, which has a part ownership of OTS, said: “The OIA has been campaigning for one unified trade show for many years, at first working with ROKS and KORS on the shuttle bus, then joining the OTS founders and now finally this, a unified focal point for the trade. Marta Williams, OTS organiser said: “We are now getting ready to open bookings for the 2019 show, and information will be sent to our 2018 exhibitors in the next few days. The KORS committee and organisers said they would shortly announce offers on travel and accommodation deals for Cumbrian retailers, in conjunction with OTS, emphasising the benefits of attending the Manchester show.